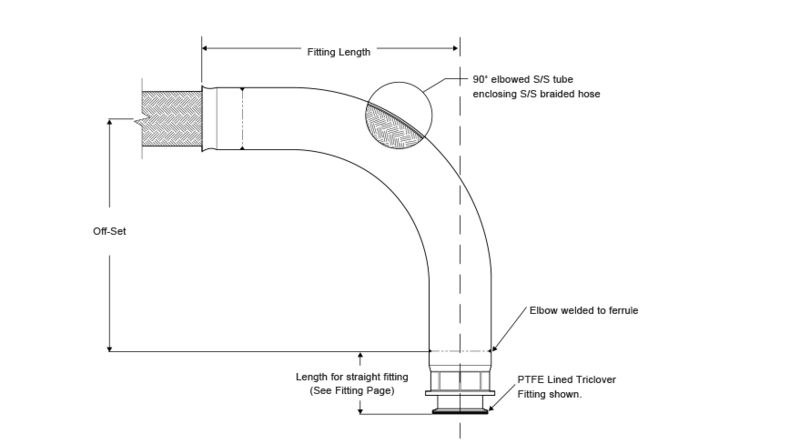 All of the PTFE lined end fittings described on previous pages can be fitted as 90˚ elbow PTFE lined fittings to the design shown, to the sizes listed. All grades of hose can be used, except PB. A 90˚ elbow attached to the hose can be supplied non-PTFE lined, as shown, for any size or grade of hose or type of fittings, to special order.